Hunger strike has long been a weapon in the arsenal of political prisoners fighting for improved conditions or release from illegal detention. It was used by republican political prisoners almost 100 years ago before and during the Tan War and Civil War. In more recent time ANC prisoners in South Africa marked Bobby’s death in 1981 and used hunger strike during their struggle with the prison regime. 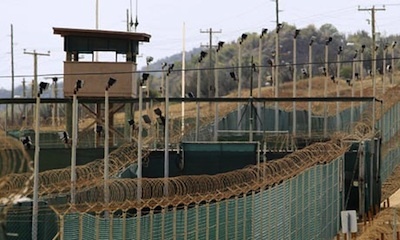 Palestinian, Basque and Kurdish prisoners have similarly used the hunger strike weapon and now some 100 detainees are on hunger strike in Guantanamo Bay. Reports state that four have been hospitalised and 23 are being force-fed. “He will face at least one and maybe two ‘feedings’ daily. Force-feeding is always brutal. No matter how often it occurs, the victim does not get used to it. If the ‘feedings’ are not at regular times each day, and usually they are not, then he spends his entire day trying to prepare himself emotionally, trying to restock his determination to fight. This then is force-feeding. Last week the UN Commission for Human Rights stated that this force-feeding is ethically and legally unjustifiable. The use of force-feeding should end and Guantanamo Bay should be closed.